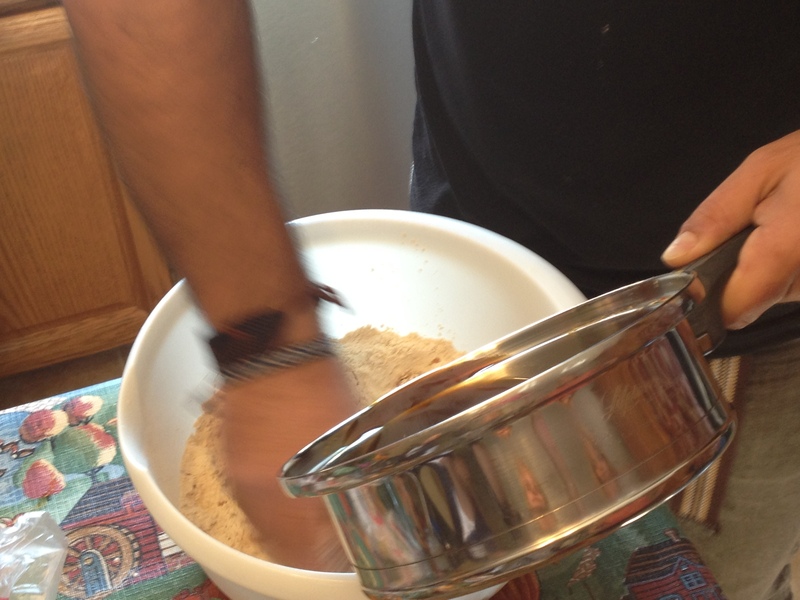 The Fearless Cook Club gathered last Saturday to learn all about vegan cooking and celebrate vegetarian cuisine. 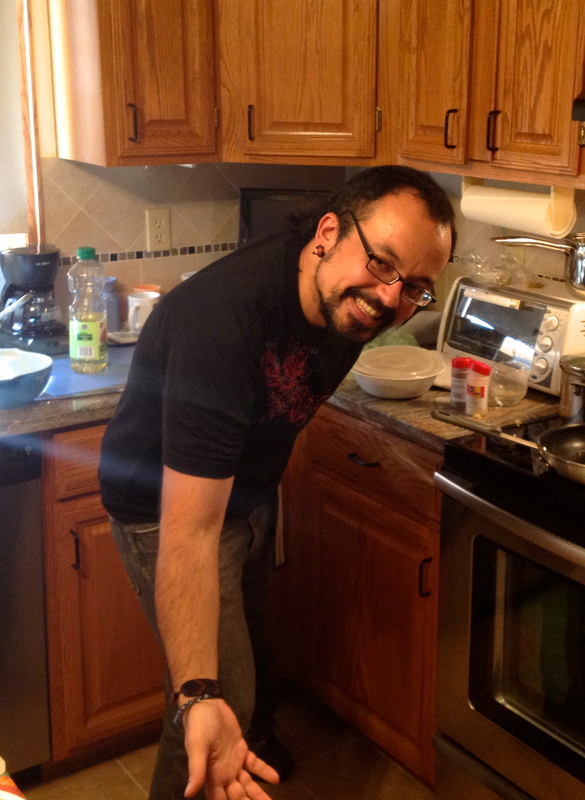 Our guest chef was Edu, the boyfriend of Cindy’s daughter, Kara. Edu is from Basque country, the northern most border of Spain. He has experience as a cook in a friend’s Tapas Bar in Madrid. He is a vegan excluding meat, eggs, dairy products and all other animal-derived ingredients. Many products, like wine, use animal parts in processing. For example, some wineries use animal parts to press down the grapes. That practice is not as common anymore, so many wines can be imbibed by vegans these days. 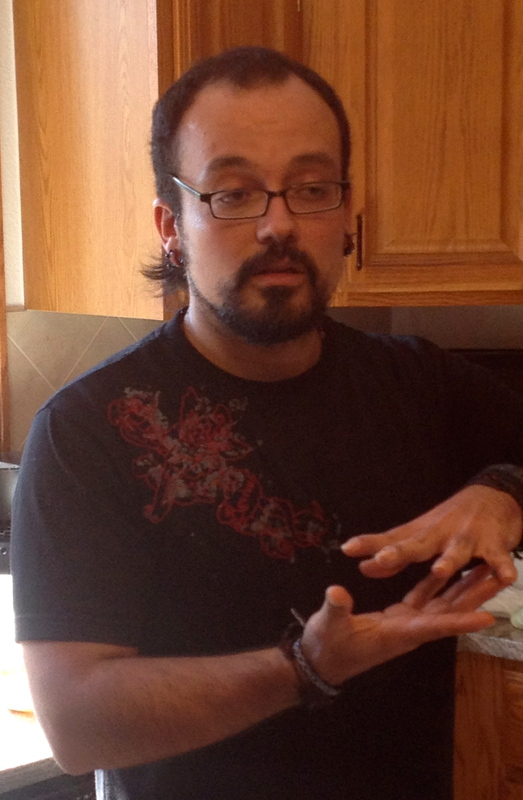 Edu was very excited about our cooking club and the blog. 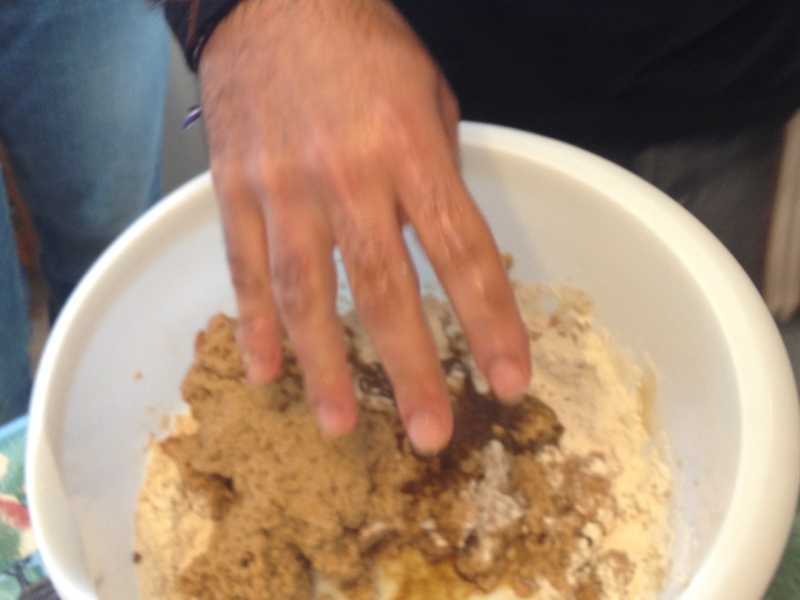 He was a natural at food demonstration and very relaxed. He suggested we get aprons or T-shirts with our cooking club name on them. What a fabulous idea, eh? 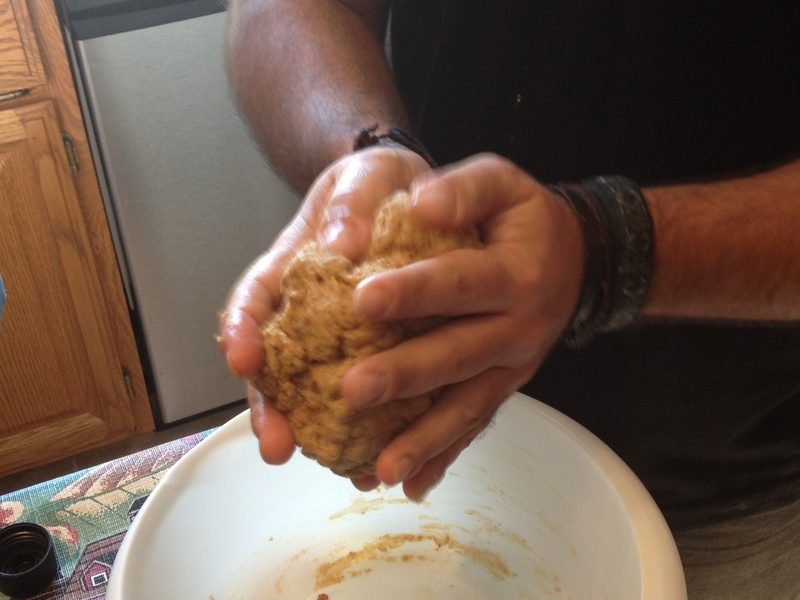 He taught us how to make “fake meat” also known as seitan which is made with wheat gluten. 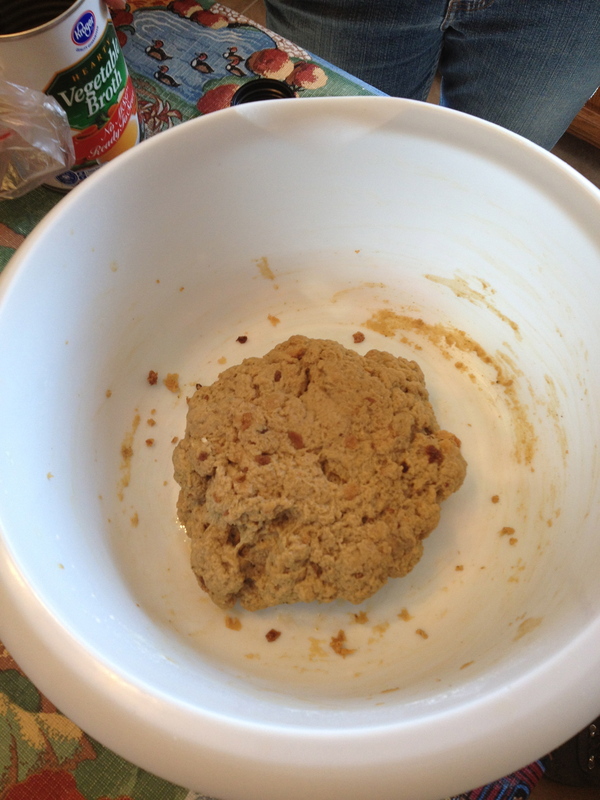 The base of seitan is using equal parts wheat gluten to vegetable broth,1/3 part soy sauce, onion and garlic powder. From there you can add any flavoring you wish. Then boil in water or vegetable broth. Carve it in slices as below. 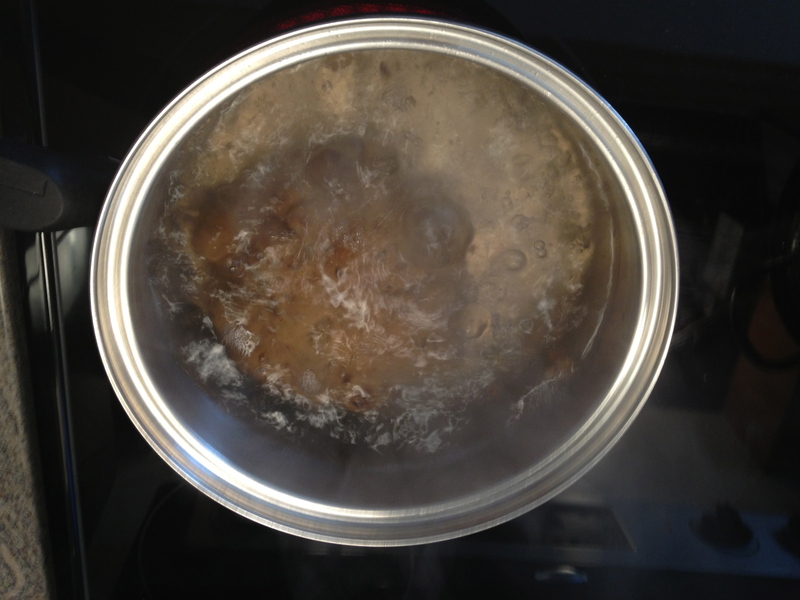 Fry in a pan with vegetable oil. So we ate our seitan with Edu’s couscous vegetable dish, Barb’s mushroom barley soup, Cindy’s quinoa dish, Julie’s hummus, and my baba ghanoush. For dessert Char made almond flour chocolate chip cookies, without eggs but used almond syrup. I brought my grape leaf pie but with the yogurt, it wasn’t true vegan dish. Of course we had wine. Nice job by everyone. The verdict? 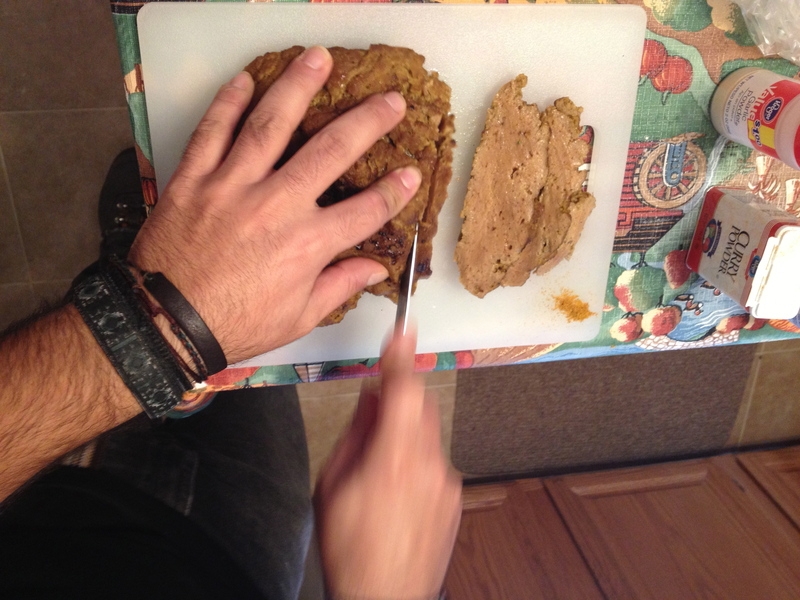 The seitan had a really good flavor; consistency was like Spam. Seitan is all about the transformation. Kara reported there is a restaurant, City O City, that is famous for their Seitan Wings, in Buffalo or Barbecue flavor. It is one of the popular staples on the menu. Sounds like an outing. Take a bow Edu. Thanks for expanding our culinary horizons. 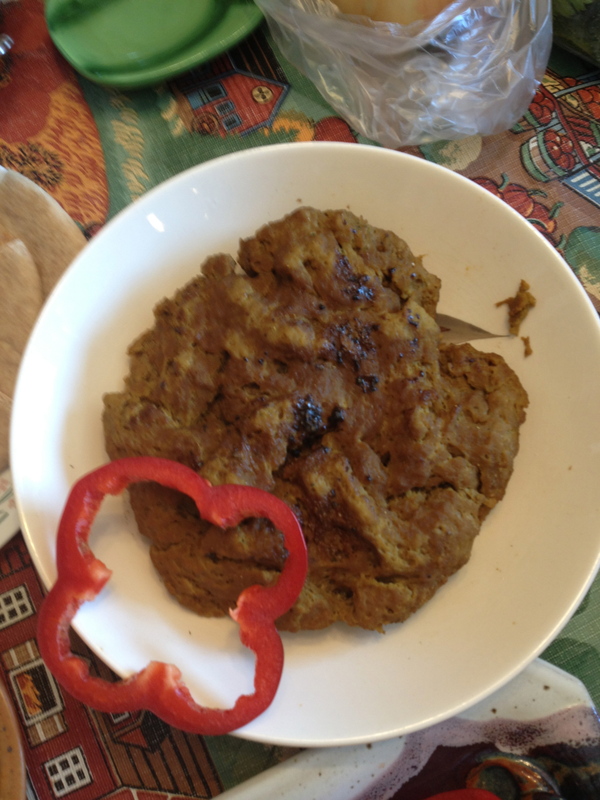 This entry was posted in Food, food blogging, vegan, vegetarian and tagged cooking, cooking clubs, food, food blogging, Veganism, Wheat gluten (food). Bookmark the permalink. this is the second time I’m hearing about seitan in the recent months. very enlightening to see the step-by-step process in photos! thanks for sharing! There are two other WordPress bloggers who are vegans that I recently found @ vedgedout.com and liveblissful.com. I am learning more and more about it. It takes a lot of dedication to be vegan. There is also a book called Fork not Knives that is very popular now. Even my meat lover husband has heard of it. 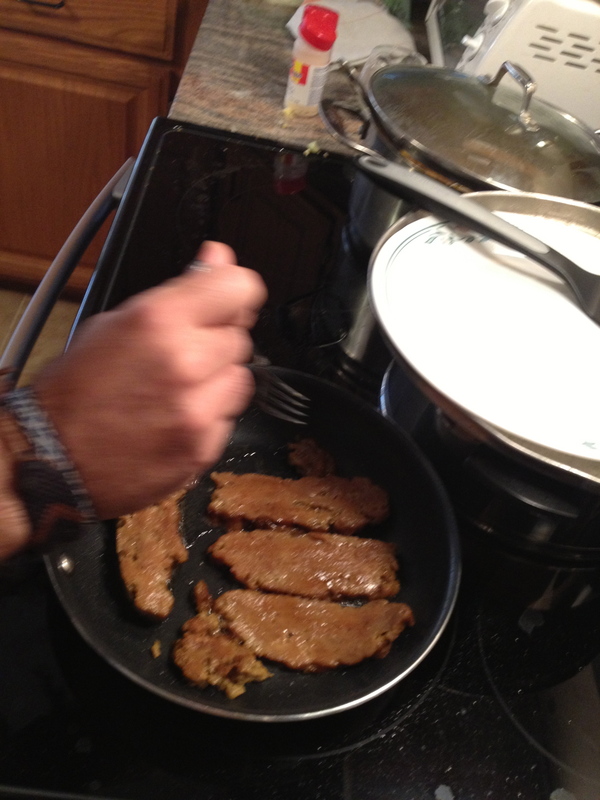 I’ve heard of seitan quite a bit but honestly didn’t know that it was a food someone could make at home. Go figure! I just may have to try my hand at this. What a cool class your club was able to participate in. And yes — you guys absolutely need aprons or tees with your logo. Fun! Christmas is coming so aprons or T’s may be on the list! Again, thanks for dropping by to check out the cooking club posts! Thanks for sharing the demonstration with us, Patty. I once knew a woman who was a vegetarian. She said that about once a year she ate a hamburger because she remembered how much she loved it. She also said that the meat most vegetarians miss eating was bacon.